Tis the season for Christmas cheer and… peanut butter? The Salesianum Peanut Butter Club kicked off the Christmas season the Thursday before break with a celebration featuring music, conversation, and lots of tasty treats. As the name suggests, this new club here at Salesianum focuses on one thing – peanut butter. Every Thursday during flex period, students gather to eat and enjoy different forms of peanut butter with friends. Many members had the opportunity to attend the club’s Christmas party and enjoy many different treats such as peanut butter brownies, cake, and fudge. For students with allergies, there were other peanut butter-free snacks available such as chocolate chip cookies. 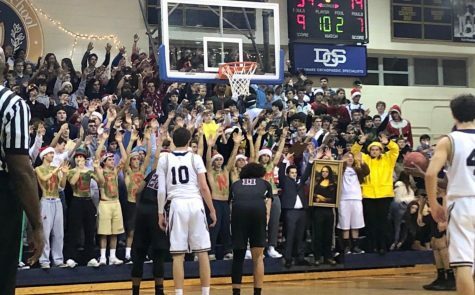 This club is unique from other typical clubs at Salesianum as it does not have a common goal or objective other than tasting different variations of peanut butter. The Peanut Butter Club has a jovial attitude and a common love for good food.